We all have a few fake followers. They seem to be an unfortunate consequence of Twitter’s popularity. However, it becomes problematic once one realises how easy it is to bulk–buy thousands of Twitter followers. In an effort to learn more about this phenomenon, I decided to conduct an experiment. 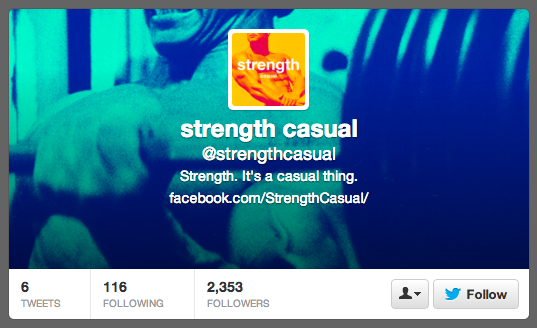 I created a seemingly plausible fitness orientated Twitter page, @strengthcasual. I retweeted and followed a few people, all in the effort of looking plausible — and therein lies the problem, the lie. The fake accounts are obvious, yet it is when a legitimate –I use that term lightly— account buys fake followers that it becomes a serious issue. The integrity of the account owner is brought into question, and thus Twitter has a serious credibility issue. Credibility is pretty much all Twitter has, and if there’s no credibility behind the Tweets then there’s not much incentive to take part. Alas, this is an obvious function of society, and not exclusive to Twitter. Here is what I discovered. Using Fiverr.com I purchased 2,000+ followers for $5. Within about 24 hours, the follower count shot up. This was where I had planned to stop my experiment. I had intended to delete the account at this point. For the record, I still do intend to delete it, that is, if Twitter doesn’t delete it before me. However, curious with my new found position I decided to investigate who all my new followers were. 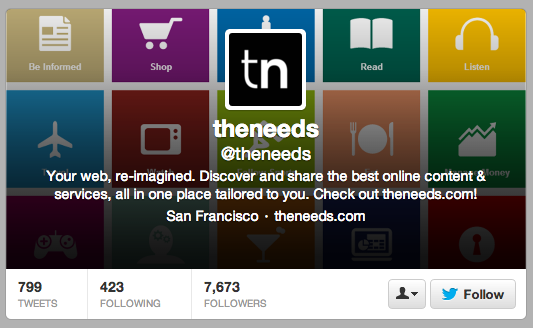 As one would expect, they were follow bots, each of which were following about 20–50 people. It then dawned on me that whoever these bots are following probably also bought Twitter followers. Before I go further, I’d like to stress a few plausible deniably caveats. A) You do not need to prove you are the owner of an account to purchase followers for it. Due diligence isn’t common place in such trades. So technically, one could purchase followers for anyone. B) It is possible that bots automatically follow random people in an effort to appear more authentic. So, please, let’s not jump to any absolute conclusions. I’m simply presenting my findings. I discovered that many of the bots who were following me, were also following journalists, tech companies and lots of individuals that seems preoccupied with hustling there way to the top; you know the type. Regardless of whether or not they were purchased by the individuals, this certainly brings into question Twitter’s Following:Followers credibility ratio. 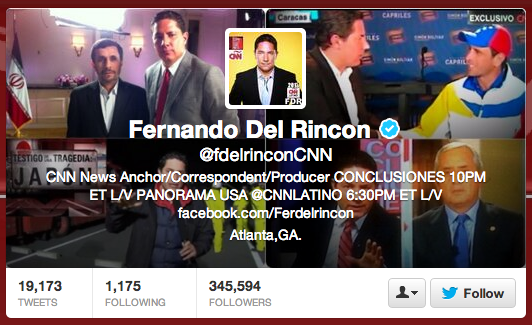 Fernando Del Rincon @fdelrinconCNN, a CNN News Anchor/Correspondent/Producer, seems to be followed by this follow-bot. A tech company and a journalist. Credible indeed. This wasn’t an in-depth exploration, it was fleeting, an accidental discovery. I really don’t care if these followers were bought or not, as this isn’t so much about ethics as it is about credibility, and Twitter certainly has a serious credibility problem. Speaking of Twitter, follow me for free @ys.